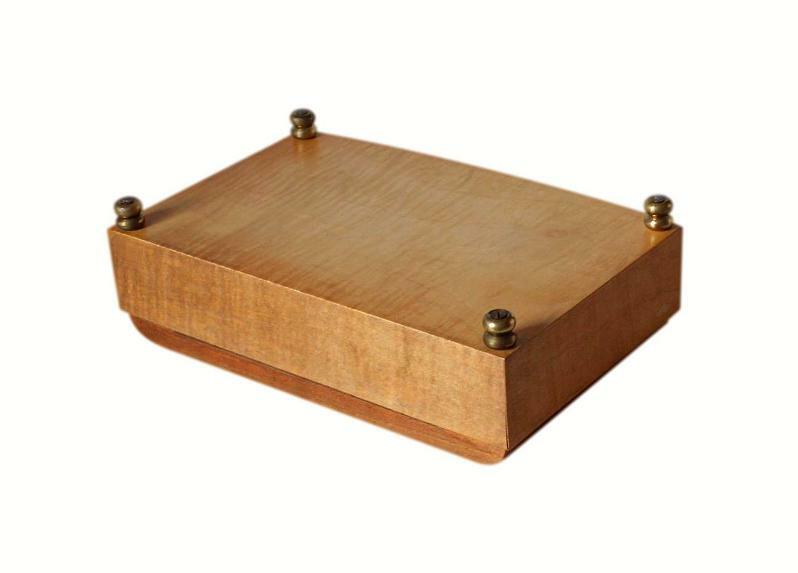 This is a stylish vintage Retro jewellery box, dating to the 1950s. 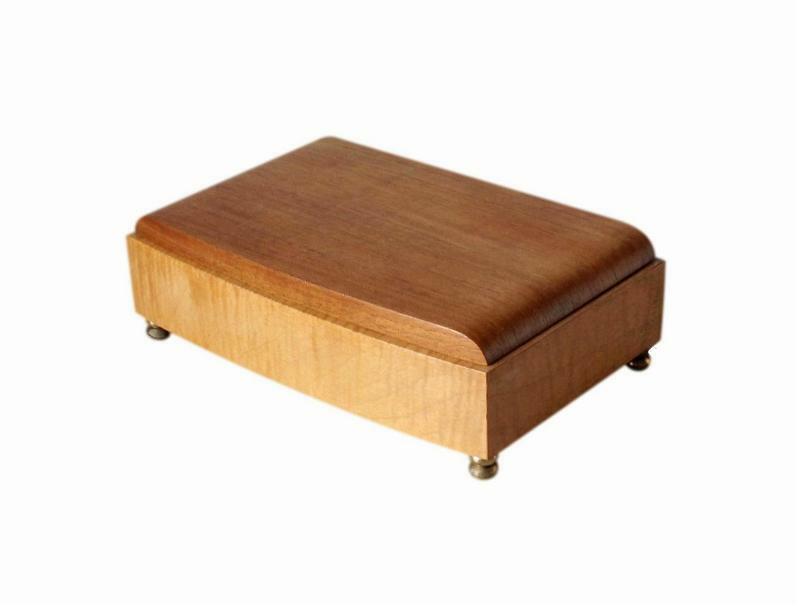 This box has a streamlined slender design with beautiful curvature to the lid and front. 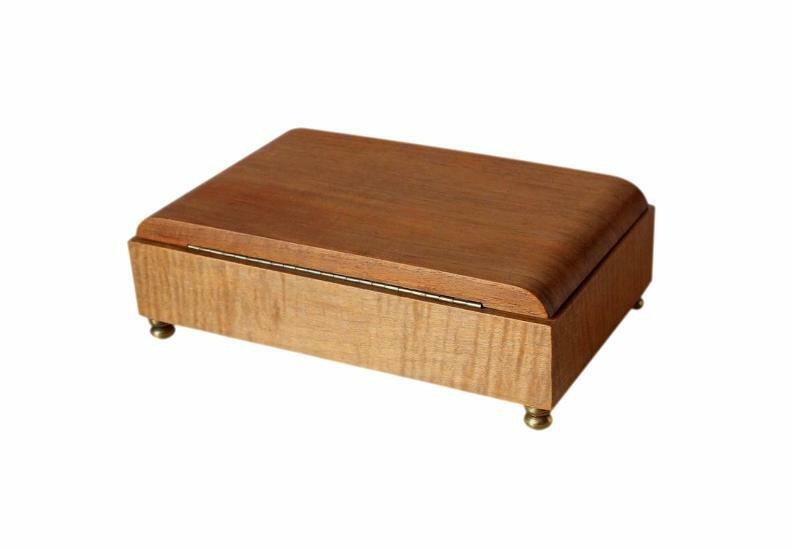 The body of the box has a Satinwood veneer and the lid has a Black Walnut veneer. 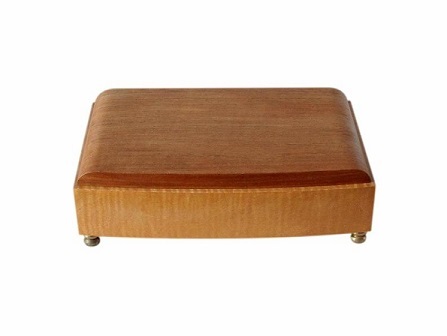 The box stands raised on its original polished gold metal bun feet. The box has its original gold metal piano hinge. 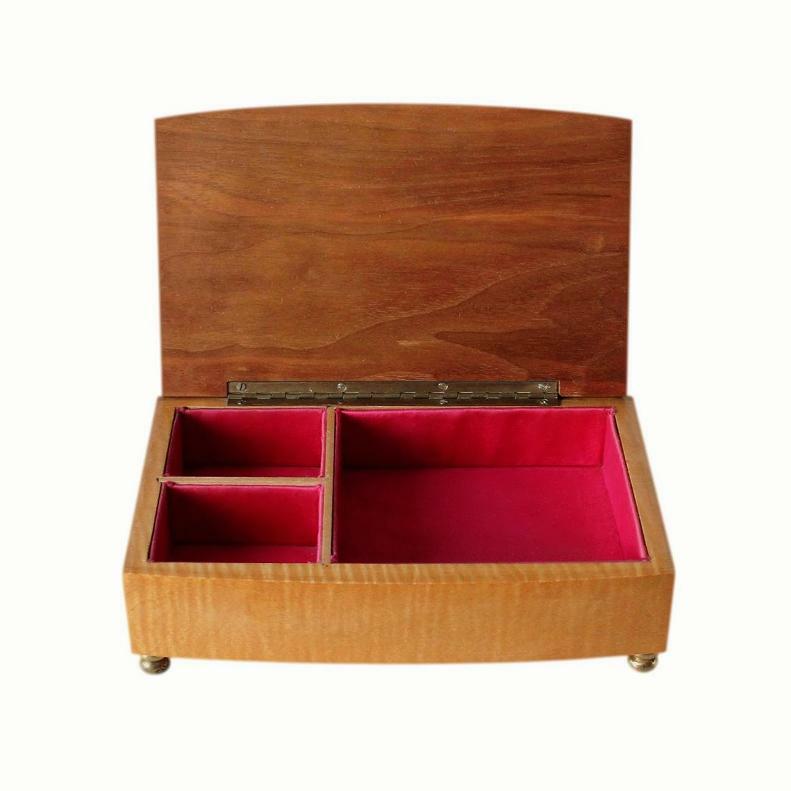 The interior has three storage compartments, all of which have their original satin linings and sturdy wood dividers. This box is in very good condition with only minor light age related wear. The interior red satin is still in nice condition with no splits or fraying. It has a light stain in the larger compartment which is not overly obvious. The gold metal feet are still securely attached. There is minor light wear/tarnish on these. 11.7 by 10.7cm with a 3.2cm depth. 6.3 by 5.2cm with a 3.2cm depth.